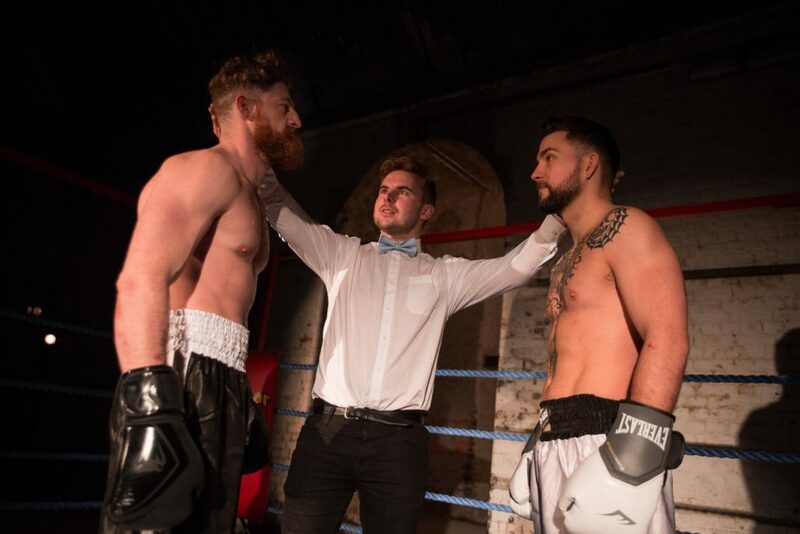 Lively and fun interactive build up to a boxing match, the result of which is influenced by the audience participation through the ninety minutes duration. Go prepared to contribute and not just to sit back passively to be entertained. Exit Productions is an interactive events company specialising in agency and involvement. 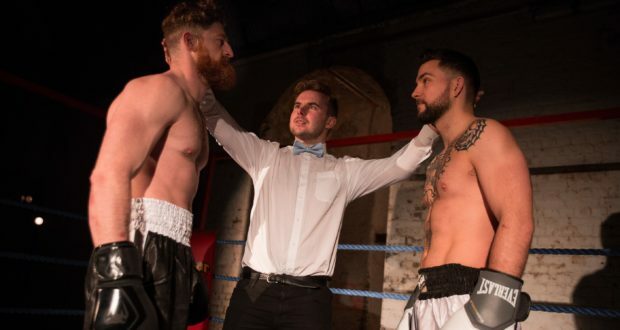 Their latest offering at The Vaults – ‘Fight Night’ – focuses on a boxing match and the build up immediately before the fight. After assembling in the graffiti tunnel the evening’s audience were escorted to the ‘secret’ and rather chilly location nearby. We were then split into two camps, using our North v South London affiliations. On this occasion the really uneven split meant that some people had to switch sides – which turned out to be a bit of a theme. We then entered the main hall, containing the boxing ring, camera, screen, card game and bookie, and were introduced to the various protagonists. The ring announcer explained that every audience action and reaction would have a direct influence on the outcome of the match. 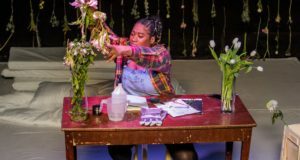 You could feel the energy in this opening section, which gave the audience the opportunity to enter into the spirit of the piece immediately, with plenty of whooping, cheering, booing and clapping. Everyone was given betting chips to place on their chosen fighter, with the promise of a percentage of the night’s takings (£5) going to the punter who made the most. Keep an eye on the odds, there was quite a bit of fluctuation throughout the event, for no apparent reason. The bout is between Ian ‘Bam Bam’ Bradshaw (North London) and Joe Williams (South). Audience members are given various roles to play, such as Seconds and, later on, judges. We disperse to dressing rooms for preparation and pep talks. The middle section allows the most opportunity for direct interaction with any or all cast members. You can engage in conversation, ask questions or just follow and observe how the fighters are coping with the pressures. There are all sorts of shenanigans going on, and definitely some dodgy double dealings. Some people change their allegiance every few minutes, the doctor is up to no good, and there is some kind of scam going on with the drug testing samples that I never did get to the bottom of. 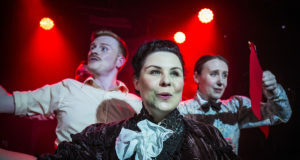 The whole cast keep up the energy levels, have a lot of background information to draw upon and make efforts to include every audience member. That said, the middle section does kind of fizzle out after a while; there are only two fighters, after all, and limited space. Just in time to stop everyone getting bored of the whole thing we were called back ringside for the fight. Again, very energetic, well choreographed and inclusive, with time to get behind your fighter, make some noise and get those last minute bets on. This was a considered, well organised, properly interactive event. To get the most out of it go with the mindset of really getting involved in the action, and being prepared to do so right from the start. I can’t comment on how it compares to the reality of professional bouts, but I doubt it really matters. On this occasion the victor by knockout was Bam Bam Bradshaw. The ring announcer reminded us again that our actions throughout the 90 minutes had affected the outcome. I still reckon it was a fix though.